Travelling in a new country could be something stressful. Many are the things to know before you go and sometimes it could happen that you can elude some important information that are necessary when you are travelling. For example this could happen when you are travelling by train in Italy. Every local carrier has its own rules and you must know them otherwise you will be in troubles. 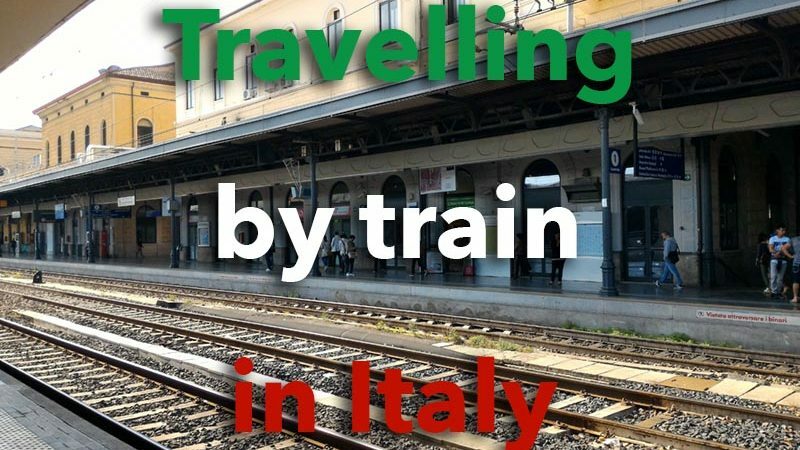 After the guide “How to get to Italy by plane” helping you to choose the best airport where to land for your destination, I decided to gather some basic information you need when you are travelling by train in Italy. We have 2 railway companies in Italy: Trenitalia and Italo Treno. Trenitalia was founded in 2000 and is the main Italian railway carrier. This company manages regional and long-haul transport throughout Italy. Italian people have a bad opinion about this carrier, because trains are always in late and the service is not very good above all along the regional routes. Italo Treno started to operate in 2008. While Trenitalia has different kind of trains, Italo Treno has only high-speed trains. You can recognize them thanks to the different colours. 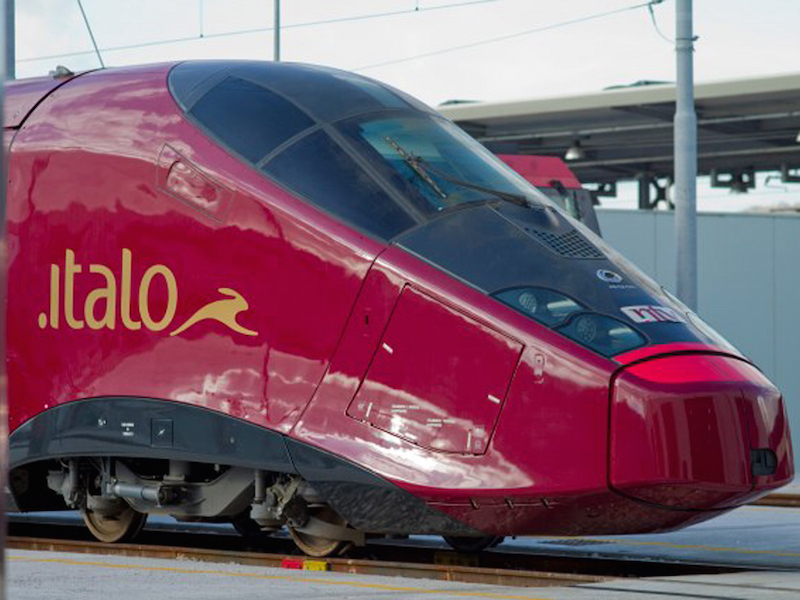 Italo Treno trains are dark red coloured and the name on the wagon is golden coloured. Trenitalia uses mainly the red colour for the high-speed trains, and white and dark green or blue for the regional ones. Regional trains are different from high-speed trains for the services on board. As the first ones have sometimes sockets and air conditioning (it rarely works! ), the second ones are equipped with sockets, (functioning) air conditioning, Wi-Fi connection, different classes, toilets constantly cleaned. Obviously this means different prices. Moreover regional routes are served by old trains, instead of Frecciarossa, Frecciargento, and Frecciarossa 1000 that have been newly assembled. This is an example of the high-speed trains of Trenitalia. You can also recognize them by the simbol of the carrier. You have to know that you can reach almost every part of Italy by train. For this reason train is the most popular means of transport in Italy after the car. This is the high-speed train of Italo Treno, the other Italian carrier. The more bigger the station is, the more you will find different kind of services, like luggage deposit, shops, bank, waiting room and much more. For example in Roma Termini station there is the underground floor full of shops and bars and in Milano Centrale a shopping gallery has been recently inaugurated. Usually high-speed trains arrive at the closest platform to the entrance. Regional trains could arrive at any platform, especially those further than the entrance. At Firenze Santa Maria Novella Station regional trains arrive at Piazzale Ovest and you have to go to platform 1 and follow the direction. 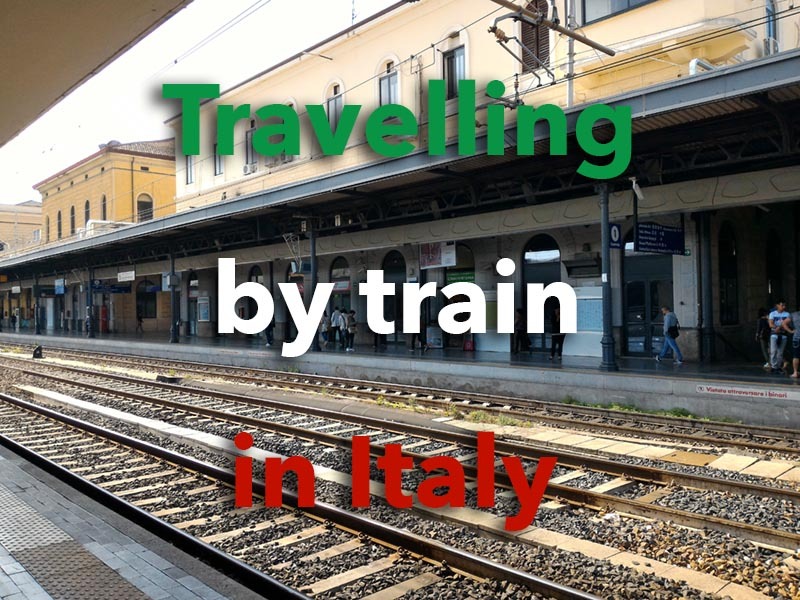 How to get to the train stations in Italy? They are normally situated not far from the city centre. Some of them have the bus city hub right in front of the entrance. Local buses have always a stop at the train station. I cannot sum up all the things you need to know about tickets for travelling in Italy by train in only one article. But there are 3 things that you have to keep in mind about tickets. 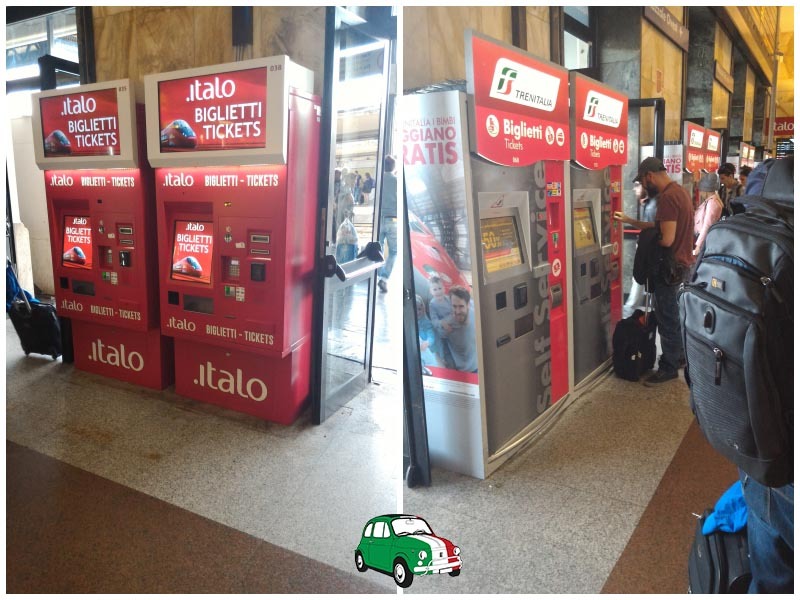 The train ticket machines in Italy: on the left Italo Treno and on the right Trenitalia. 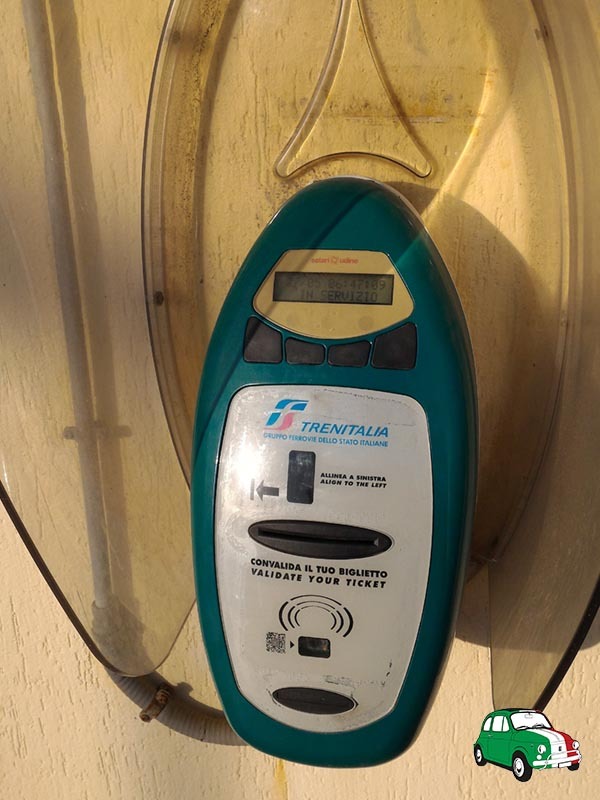 You can buy Trenitalia tickets at ticket offices and ticket machines inside any stations. If you are in the main stations, I’m quite sure you will find English speaking clerks. In the case you are in a railway station of a little town, it’s better you use ticket machines where you can choose the language you speak. Italo Treno has its own ticket offices and ticket machines only in the stations where its trains stop. Only Trenitalia tickets are sold by tabacchi (i.e. smoke shops), especially when there are no tickets machines or ticket office is closed. Only Italo Treno tickets can be bought on board. Tickets of both carriers can be purchased online, on their mobile apps, calling the call center or by travel agencies too. 2. How much train tickets cost? Train ticket prices are based on the kilometres you will cover and on the class you choose. On regional trains you don’t have to book any seat, therefore they are cheaper than high-speed trains. Sometimes Italo Treno could be cheaper than Trenitalia depending on the time you travel and the route you choose. For example travelling from Milan to Turin (over 150 km) can cost 16.00 € on Trenitalia train and 9.90 € on Italo Treno train in the same day at the same time. This is an example of validation machine you can find in any railway station. 3. How to validate train tickets? Not all the tickets must be validated. The rule is: when you reserve your seat, tickets don’t need to be validated. This is because tickets including seat reservation are valid only for the train you will travel with, the date and the time you choose. All the regional train tickets need to be validated except those purchased online. Have you forgotten to validate your ticket? Don’t worry! Look for the ticket inspector on board and tell him that the ticket has been not validated before he discovers it on his own. The ticket validation machines are everywhere in the station. If you want to prevent becoming crazy looking for the machine, remember that machines are usually near the ticket office or along the platform 1. In some train stations validation machines are along the underground passage, like in Bologna Centrale, or at each platforms. I suggest to validate your ticket when you are near the ticket office so that you don’t have to hurry or you will not forget to do it. the printed version is affixed normally near the ticket office, just before the access to the platforms and along platforms. The yellow poster is for the departures and the white poster is for the arrivals. On the poster you will find all the details of the trains (stops too! ), but don’t trust to the number of platform because it can be changed at the last minute. On the left a monitor with all the next departures along the platform. On the right the train timetable poster listing the Trenitalia daily departures that you can find along platform, in the station entrance, in the waiting room and anywhere else in the station. There are usually monitors, one for departing trains and one for the arriving trains. Pay attention to which monitor are you watching. At platforms monitors display only the departures. In the main stations there are big notice boards with a long list of departures and arrivals. They are put in the station hall just after the entrance or just before the platforms. 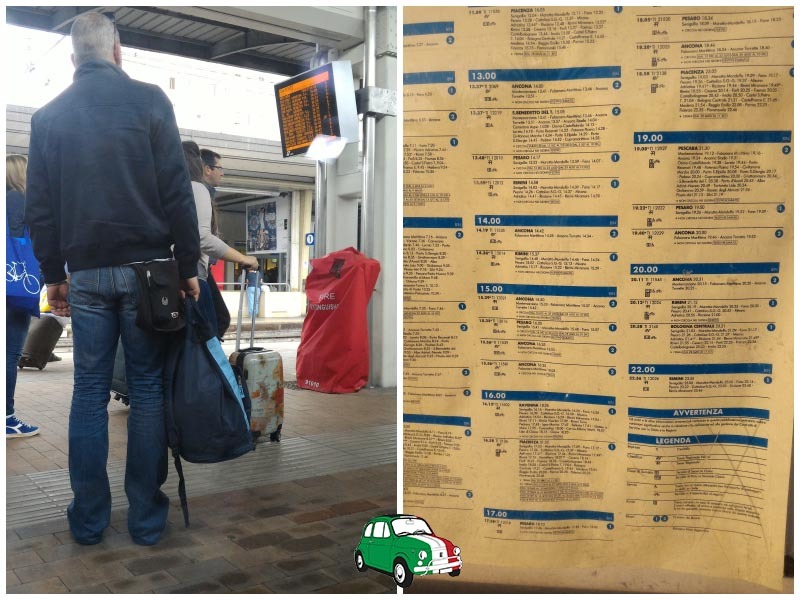 The big notice boards with the train timetable divided into ‘Partenze’ (Departures) and ‘Arrivi’ (Arrivals). In the upper picture the notice boards just before the platform. In the lower picture they are in the entrance of the station. 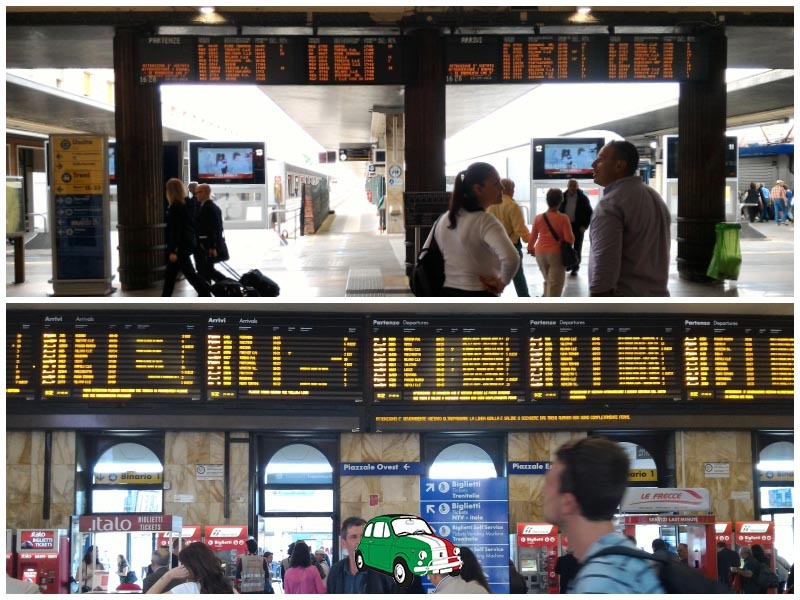 A printed Italo Treno timetable doesn’t exist in the train stations, but these trains are displayed on the monitors and on the notice boards. For both carriers you can check their official websites to get the scheduled departure time. 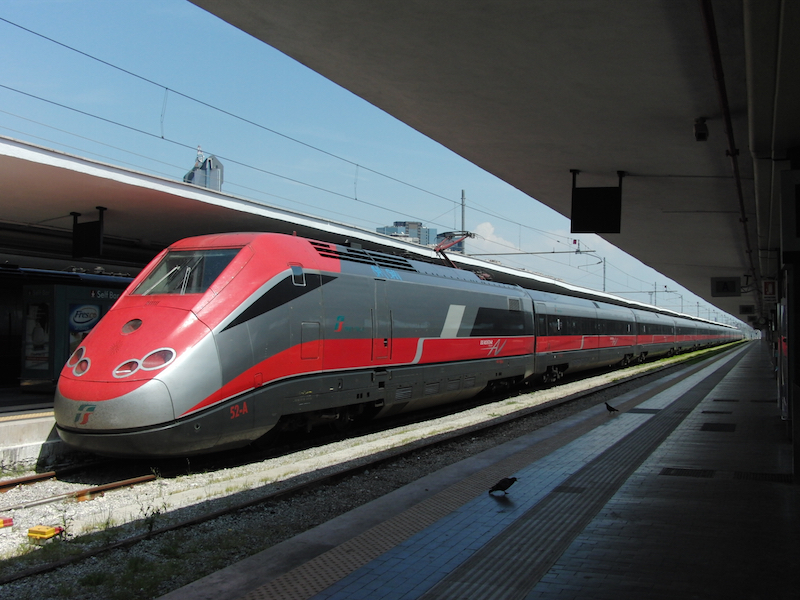 Trenitalia dedicates Viaggiatreno website to check trains real-time. On that site you can find also the platform from where the train will leave. If you have a Italo Treno ticket you can check them directly on their official website. If you are travelling in Tuscany here you will find tips written by my friends of “My travel in Tuscany”.